Opened in 1998, the Lisbon Oceanarium (Oceanário de Lisboa) was the centrepiece of the Expo 98, the last World Fair, themed “The Oceans, a Heritage for the Future”. It is located in Lisbon’s newest and most modern quarter of Parque das Nações and it is one of the Lisbon sights that kids love best. The Oceanário de Lisboa, or Lisbon Oceanarium, is the second-largest aquarium of its kind in the world, and the largest in Europe. The biggest draw of the aquarium is the massive, central tank inside that is home to many ocean species such as sharks, tuna and large groupers. Approximately 100 species from all corners of the Ocean peacefully share this gigantic aquarium. The four towers around the central tank of the building house four different habitats with their native flora and fauna: the North Atlantic rocky coast, the Antarctic coastal line, the Temperate Pacific kelp forests, and the Tropical Indian coral reefs. Transportation to the Oceanario can be had by Lisbon’s convenient metro. Take the metro to Oriente – Parque das Nações, which is the red line, and walk through the Vasco da Gama shopping mall. 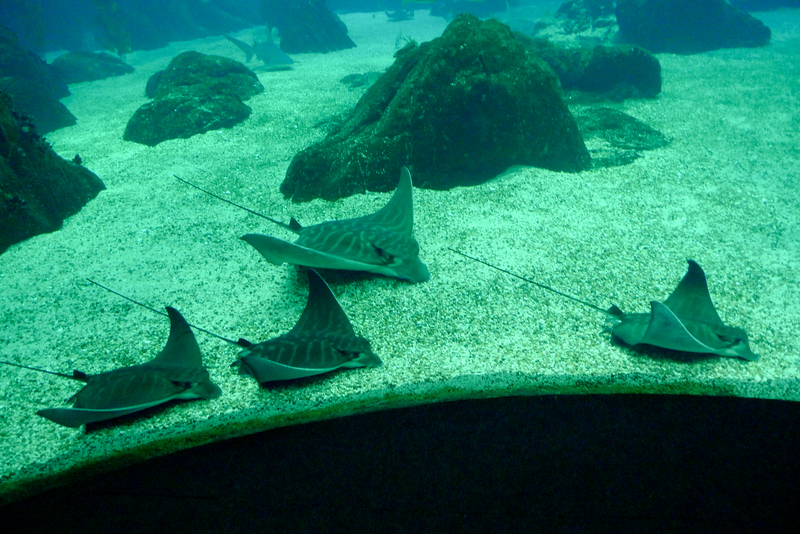 Lisbon Oceanarium (Oceanário de Lisboa) is one of the most selected Lisbon attractions in contemporary Parque das Nações. We have several apartments in Parque das Nações! Have a look and book one of our flats in Lisbon!